RUSH: For more comic relief, audio sound bite number 24, Auntie Maxine. Auntie Maxine chairs the House Financial Services Committee, and she had a hearing today with the CEOs of the megabanks, the really evil banker guys. These are the guys from the megabanks, and I saw a picture of it, and they’re all white. A bunch of white privilege, white nationalist, megabank CEOs are there — and Auntie Maxine thinks she’s got them right where she wants them. WATERS: Today, there are more than 44 million Americans that owe — this is student loan crisis — $1.56 trillion in student loan debt. Last year, one million student loan borrowers defaulted, which is on top of the one million borrowers who defaulted the year before! What are you guys doing to help us with this student loan debt? Who would like to answer first? Mr. Moynihan, Big Bank? MOYNIHAN: Uh, we stopped making student loans in 2007 or so. WATERS: Oh, so you don’t do it anymore. Mr. Corbat? CORBAT: We exited student-lending funding in 2009. DIMON: When the government took over student lending in 2010 or so, we stopped doing all student lending. RUSH: Do you realize what you just heard here? 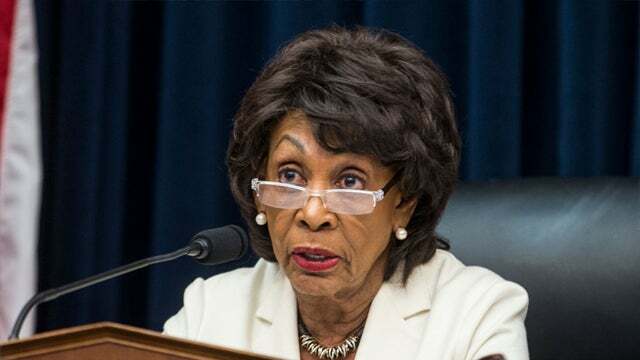 This is Auntie Maxine, the chairwoman of the House Financial Services Committee. She’s got the Big Banks, the megabank CEOs, and she’s very much alarmed at student loan debt, and she gonna nail ’em! She’s gonna see nail ’em to the wall. She’s gonna tell everybody in America these guys are a bunch of thieves, they’re a bunch of thugs, and they’re causing poor American students to go bankrupt with their confiscatory loan policies and it’s just abhorrent and it’s unsophisticated, and it’s not gonna be permitted. She is going to make sure the nation knows who these thieves are. So she starts hammering them on the student loan debt, and they say, “Uh, we haven’t made a student loan since 2009, Madam Chairwoman.” “What? What?” “No, we haven’t been in the student loan business since 2007, 2009. In fact, the Obama administration officially took over student loans nine years ago.” “Madam Chairwoman, we haven’t been involved in the student loan program for nine years.” The chairwoman of the House Financial Services Committee, a Democrat, didn’t even know that the banks don’t run the student loan program, that the Obama administration (i.e., the federal government) has been running it since 2009.